You have probably by now heard the term damages come severally on various platforms as well as in your interactions with others. If you are still unsure about its meaning, it is simply the amount of money awarded to an individual or entity in compensation for an injury or loss suffered. It is awarded where there has been a breach of contract. Damages are common where there has been a breach of contract. They are awarded for reliance loss or expectation loss. 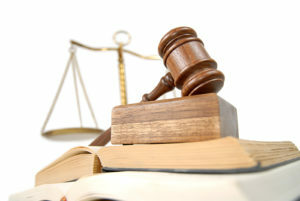 There are cases where the court may award damages that exceed a strict compensation measure. Examples of non-compensatory damages include aggravated damages, restitution damages, nominal damages, and the account of profits. Compensatory damages are the most common type of compensation in a lawsuit. The intention is to help you recover your emotional and financial losses following wrongful termination, accident, or other events. In a lawsuit, the compensatory damages cater for your out-of-pocket losses with the aim being making you financially whole. They may include medical bills associated with your injury, lost income and wages, the repair and replacement of damaged property, the cost of the materials and devices needed after your injury, and the expenses associated with a job search following wrongful termination. Other aspects such as pain, emotional distress, and suffering may also be considered in the determination of compensatory damages. However, there is a variation in the approach to the calculation of compensatory damages in different states. The compensatory damages you are likely to receive will vary depending on your earning capacity, age, the severity of the injuries suffered, and the type of legal claim. It is paramount that you provide your lawyer as well as the judge with evidence that shows the losses you have suffered. Such evidence may include receipts for out-of-pocket expenses, unpaid medical bills, and information regarding your earning potential. In addition, bring with you evidence depicting the emotional effect that your injuries have had on you. Such evidence may be records of counseling sessions or statements from your family members. The calculation of damages can be a challenging task. You are likely to undervalue your claim except in cases where it is extremely simple and the method of valuation is straightforward. You should consider getting yourself an experienced attorney specialized in the relevant subject area. A FINRA expert witness will come in handy during this process. A major benefit of hiring an expert is that he or she will frame the case logically and increase the probability of prevailing. Final Tip: If you have decided to sue for damages, make it a point to have an expert opinion. Working with an attorney will help you determine the admissibility of the lawsuit as well as the potential for success to help avoid pushing ahead with a case that has little to no chances of success. An experienced attorney may also help you in negotiating a favorable settlement with the party you intend to sue enabling you to save time and costs associated with lawsuits.